Ever daydream about just walking away from it all at the end of a crummy day and checking into a nice hotel for the night? If so, we might have the perfect solution. If you’re planning a trip, you may also find a hotel mystery shopping job out of your area, at your destination point, leaving extra cash in your pocket for other vacation indulgences. But wait…there’s more! Most of our hotel mystery shopping opportunities also include valet parking, bell service, room service, and a visit to the bar – all paid for by RBG. You can’t find a better deal than that. 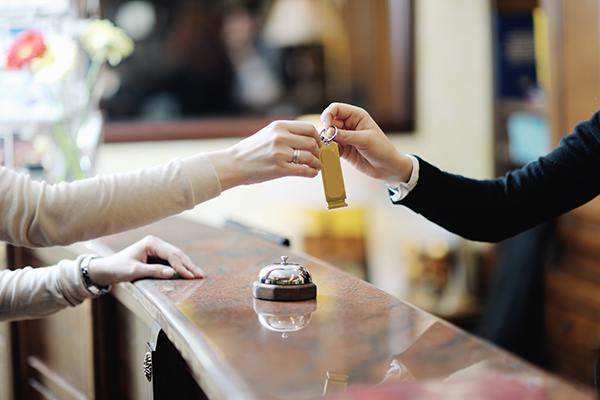 The reports for hotel mystery shopping assignments are somewhat longer and more detailed than other types, but the rewards are worth paying close attention to the particulars of your visit. And after you complete one or two hotel shops, you’ll find it easier and quicker to make and record good observations and still have plenty of time to enjoy yourself. Hotel clients need concise feedback on every aspect of your visit, as the hospitality industry encompasses so many facets of customer satisfaction. In addition to analyzing the basic quality of service and cleanliness and condition of the premises, each person you come in contact with – and there are many – requires evaluation. The areas of concentration for valuation are salesmanship, attentiveness, attitude, integrity, and teamwork, all of which require careful scrutiny and abstract thought processing in writing your assessment. Your appraisal on hotel shops begins with making the reservation, which can be made as close as two days before check-in. When you arrive, the valet and bell service and associates require evaluation. After check-in, you’ll inspect the room and later contact the maintenance department to fix a “problem” such as a faulty lamp or other minor predicament you can easily fabricate. Room service and bar visit comments are report requirements, as are remarks on wakeup call requests, question handling by the hotel operator, checkout procedures and desk communications. Making quick and accurate observations is especially important with hotel shops because, unlike many other service evaluations, many of your contacts will occur only once. Interactions with the valet, bell person, maintenance associate, etc. are typically brief and singular, so accurate names and/or physical descriptions are imperative. Recording times accurately is also vital to clients, as are your objectivity and professionalism. Whether you spend your RBG hotel mystery shopping time vegging in your room or use it as part of a “date night” with your partner, it’s sure to be a memorable experience. And when you come out ahead financially, memorable becomes remarkable.